Karen Estlund is the Associate Dean for Technology and Digital Strategies for Penn State Libraries where she provides leadership and advocacy for information technology, digital initiatives and scholarship, repository services, cataloging and metadata services, and resource discovery. 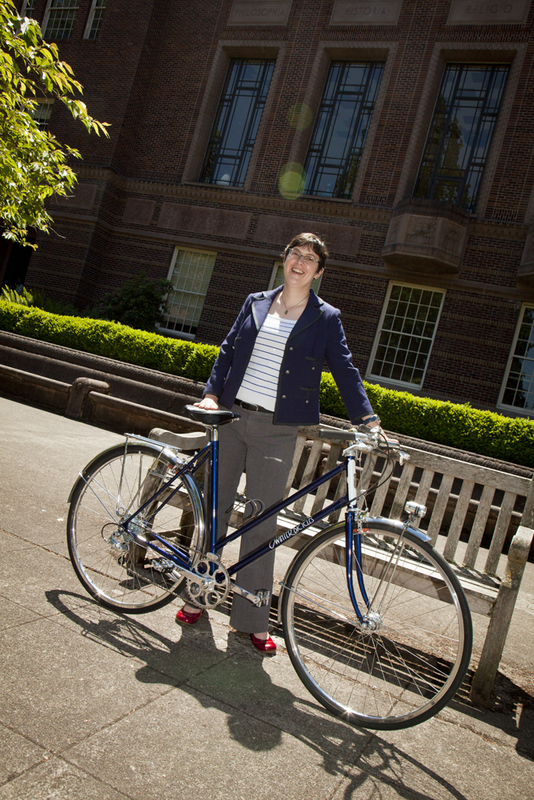 She is also a PhD candidate in Communication and Society at the University of Oregon. Prior to Penn State, Karen served as the head of the Digital Scholarship Center at the University of Oregon and directed the Oregon Digital Newspaper Program. She also served as interim head of Digital Technologies and technology instruction librarian at the J. Willard Marriott Library, University of Utah, where she also taught Web design as an adjunct professor in the Communication Department. Karen received her M.L.I.S. in 2005 from the University of Washington. Karen’s areas of expertise include information architecture, intellectual property, metadata and linked data, digitization, digital preservation, and scholarly communication. I started working at the library as an undergraduate work study student. I sheepishly went to my first interview nervous that my experience of typing out catalog cards for a local library when I was in high school wouldn’t be enough to get the job. I was hired as a student in cataloging and did a lot of spine labeling, barcode sticking, and special plate adhering. Alas, I couldn’t cut straight so was moved to cataloging authority work where I found an obsession with metadata and standards. As an undergraduate, I had a year-long thesis project. Two online tools made all the difference to a project that I couldn’t have done without the Internet: the Perseus project and the then new online search-engine Google. After I graduated college, I knew I wanted to become a librarian and figure out how to tie in authority work with search engines and digital libraries. Before going to graduate school, I continued to work in the library clearing copyright permissions for course use. This was an invaluable education at a time when publishers were just getting used to electronic reserves. Copyright issues have continued to underlie all the work I do. I am the Associate Dean for Technology and Digital Strategies for Penn State Libraries and a PhD Candidate in Communication and Society at the University of Oregon.